EDTA comes in many forms such as IV drip, suppository, pill or liquid. Since EDTA is used to remove excessive, unbound minerals in the body, it can remove calcium from the plaque in the arteries, aiding in the reversal of the effects of blockage, which inhibits the flow of blood from the heart to the organs and muscles. Many of the forms of EDTA can be prohibitively expensive or take a long time to become effective. EDTA IV chelation requires that patients attend 30 to 50 sessions over six months. Each of these sessions is at least three hours long and quite expensive. EDTA in suppository form is normally administered 3 times per week, but can also be cost prohibitive. The suppository therapy takes over six months to complete. Chelation pills are less expensive, but when considering the absorption rate that pills provide (5-18%), the time it takes for the chelation process to effectively work, far outweighs the cost savings. 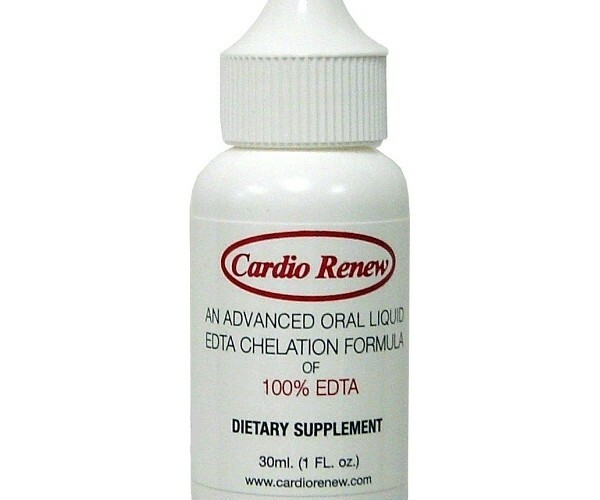 With liquid oral chelation the EDTA solution is mixed into the patient’s drinking water and can be taken several times a day. Liquid EDTA chelation treatment is much less expensive than suppository or IV treatments and is absorbed easier than EDTA in pill form. And unlike EDTA chelation treatments involving IV drip or suppository, which can take up to six months to complete, liquid EDTA chelation therapy takes only six weeks to take effect. ← What is Oral Liquid EDTA Chelation Therapy?